The way we write tells a lot about ourselves. 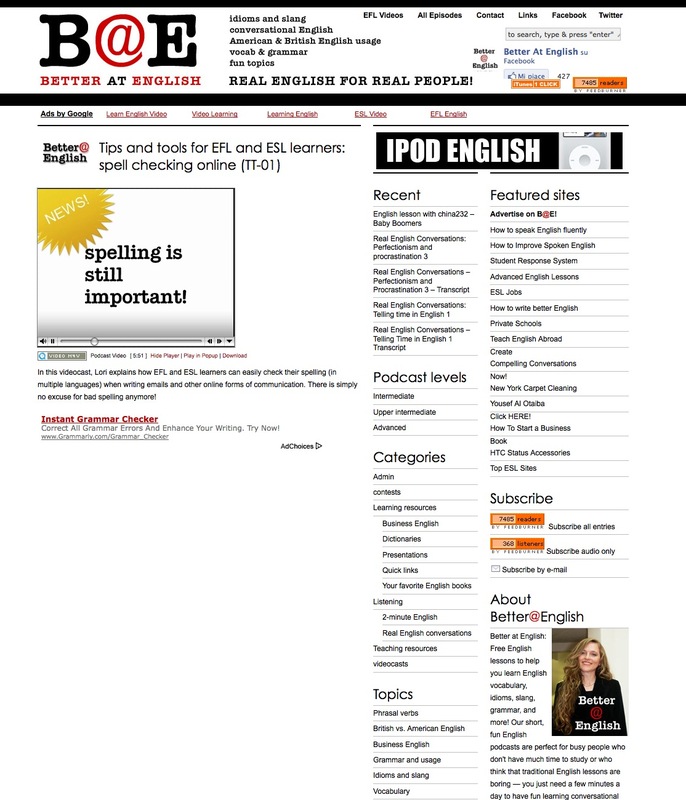 This episode focuses on the importance of running a spellchecker for everything we write online: emails, forums, blog comments, online forms, etc... Here we can learn about free tools available for Internet Explorer and for Firefox. Students may discuss if they are careless writers or if they have strategies to avoid spelling mistakes.